Tommy Baker was born in Charleston, South Carolina, close to the banks of the Wando and Cooper Rivers and the historic Charleston peninsula. He attended Moultrie High School, and after distinguishing himself on the baseball fields and the dance floors of the Lowcountry, graduated in 1964. Motivated by a desire to serve his country and the patriotism of many past generations of Charlestonians, Tommy enlisted in the Marine Corps shortly after graduation. His service took him far from Charleston, to Okinawa in Japan and finally back home in 1968 where he enrolled at The Citadel, South Carolina’s preeminent Military College. Tommy’s pursuit of education did not simply stop after leaving the Citadel in 1972. In 1988 he was accepted into Harvard Business School’s exclusive Owner/President Management Program, an intensive three-year study of business models and executive education. In 1995, he was awarded an Honorary Doctorate in Humane Letters from the University of Charleston. After spending 25 years as an automobile dealer across the South, Tommy felt it was time to return to his first love, Charleston. Combining his extensive experience with acute business savvy and his one-of-a-kind amicable personality, Tommy founded Baker Motor Company in 1988. After starting out on Morrison Drive in Downtown Charleston with a single dealership, Tommy has since expanded Baker Motor Company to now include Mercedes-Benz, Rolls-Royce Motor Cars, Porsche, Mercedes-Benz Vans, Jaguar, Land Rover, INFINITI, smart, Maserati, Alfa Romeo, and a luxury Pre-Owned Center on its main campus on Savannah Highway. More recent additions to his line-up include Mercedes-Benz of Mt. Pleasant, Baker Buick GMC, Baker Cadillac of Charleston on Savannah Highway, and two dealerships in Wilmington, North Carolina—BMW of Wilmington and Porsche Wilmington. Baker has always prioritized giving back to the Charleston community. He has served as past chair of the MUSC Children’s Hospital, the College of Charleston School of Business, YEScarolina and the Free Enterprise Foundation, a research institution that works in harmony with The Citadel, The College of Charleston and the Medical University. In 2008, Baker Motor Company received the Award for Outstanding Corporation from the Association of Fundraising Professionals South Carolina Lowcountry Chapter. This award honors a corporation or its corporate foundation that demonstrates outstanding commitment through financial support and through encouragement and motivation of others to take leadership roles toward philanthropy and community involvement. 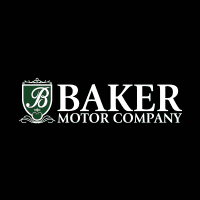 Out of all the awards and accolades Baker Motor Company has received over the years, Mr. Baker is most proud of being named one of Automotive News’ Top 100 Best Dealerships to Work For in 2013, 2014, and 2015. In 2015, the dealership was named the #1 dealership in the country on that prestigious list. Currently, Tommy serves on the board of directors for the Southeastern Wildlife Exposition, YEScarolina board, the Board of Governors for the College of Charleston. Professionally, he has served as Chairman for the Mercedes-Benz Dealer Board and the Advisory Dealer Board for INFINITI. Beyond his many charitable endeavors, Mr. Baker retired as a professor in May 2013 from the College of Charleston, where he taught a senior level entrepreneurial class for 22 years. Tommy currently resides on Sullivan’s Island, SC with his wife, Vickie, of 36 years. They have three grown children, Cassie, Katie & Harrison, four grandchildren, Baker, Jay, Mason & Waylon. He is an avid runner, and most recently took up the challenging sport of paddle boarding. Tommy also enjoys spending as much time as possible with his family and friends. Kyle Wicks Receives First Tommy B. Baker Scholarship Fund Award! Behind the Scenes Tommy Baker’s Cover Shoot for Charleston Home+Design Magazine! College of Charleston Entrepreneur-in-Residence: Another Day in the Life of Tommy Baker!